Over 300 miles off the Pacific coast of Colombia lies Malpelo Island whose clear waters are teeming with colorful marine life. The driving force behind the success of the Malpelo Hope Spot is the community of ocean advocates and citizen scientists promoting its protection. Sandra Bessudo, Marine Biologist and Founder of the Malpelo Foundation, is at the heart of Malpelo and its strongest spokesperson. “When I first started going to Malpelo in 1987 and saw what was happening: anchors in the coral, sharks on the deck of the boat, I thought we must do something“. Since then, she’s worked with divers, scientists, and even multiple Colombian presidents to enforce protection of the island. On September 9th, Colombia President Juan Manuel Santos pledged to more than double the size of the Malpelo Flora and Fauna Sanctuary. “This is important to protect our jewels. If there is something that Colombia has, it’s a richness in flora, fauna, and biodiversity. An important part of that richness is in Malpelo,” Santos said. The new expansion ensures a protected environment where internationally threatened marine species can engage in their natural behavioral patterns. The Malpelo Fauna and Flora Sanctuary is the largest no-fishing zone in the Eastern Tropical Pacific. This special Marine Protected Area (MPA) is an UNESCO World Heritage Site and is known for large aggregations of shark species: over 200 hammerheads, and more than 1,000 silky sharks, whale sharks, and tuna have been recorded. It’s no surprise that it’s one of the top diving sites in the world due to its marine biodiversity and remarkable steep walls and caves. Over 20 years ago, Sandra started asking divers to sign a petition to protect Malpelo and its abundant marine life. And in 1994, she convinced the president of Colombia, Cesar Gaviria to visit Malpelo and experience for himself its natural beauty and incredible diving. She took the opportunity to share the petition with thousands of signatures with the president. He was touched by the evident citizen support and passion for Malpelo and promised he would work to protect the area. In 1996, the Government declared Malpelo a sanctuary, protecting roughly 100 square miles of the islands surrounding waters. Although this was a major victory in Malpelo’s history, Sandra knew this was not enough. 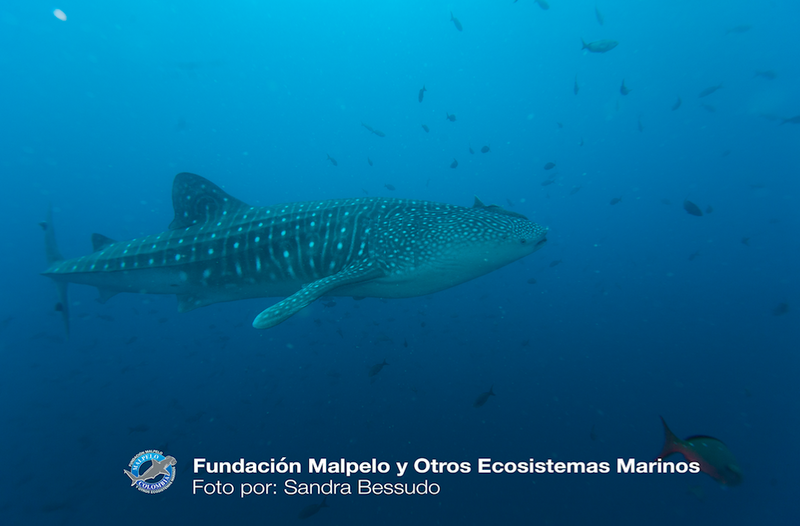 In 1997, Sandra was responsible for the Malpelo Sanctuary through Colombia’s Natural National Park Unit. She quickly discovered that although the island’s waters were protected, lack of funding meant none of the protective measures were actually enforced. Sandra took it upon herself to work with local divers (and the aid of their boats) to help with enforcement. Even with community support, Malpelo needed a stronger voice to unite education, fundraising, surveillance, research, and ecotourism, which is how the Malpelo Foundation was born. The Foundation ignited greater awareness for the island including a documentary titled: Sandra et le Requin Inconnu, which won the UNESCO Prize for Cultural Heritage Conservation and led to Malpelo’s designation as an UNESCO World Heritage Site. 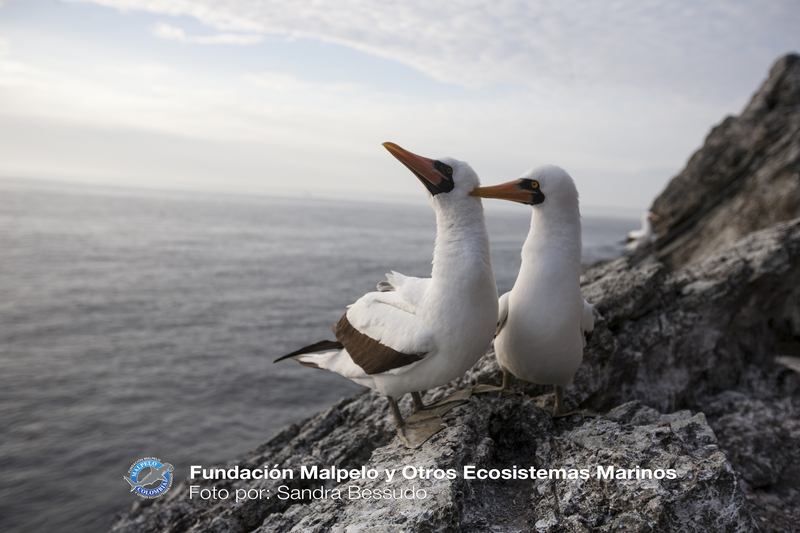 President Santos’ forthcoming expansion of the Malpelo Sanctuary stems from evidence Sandra began documenting in 2005, when protection for Malpelo Island was expanded another 2,000 square miles. Publically committing to increasing the sanctuary to 10,000 miles is a testament to Sandra’s lifelong dedication to keep Malpelo’s waters healthy and thriving. September was a victorious month for ocean conservation worldwide. Only two weeks after President Obama’s historical expansion of Papahānaumokuākea Marine National Monument, the presidents of Ecuador, Colombia and Costa Rica, agreed to jointly create a new marine reserve off the coast of the three countries. In addition to Malpelo, these executive actions expand protections in two other UNESCO World Heritage Sites, Cocos and the Galápagos. With Malpelo’s forthcoming expansion, Sandra points out the imperative need to implement effective enforcement. 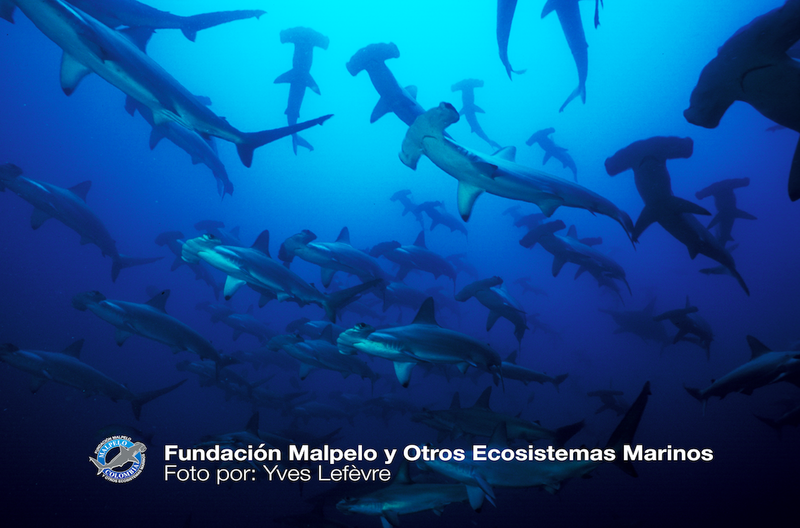 “It’s one thing is to declare and amplify the MPA, but the other is to have the tools and elements for enforcement.” Currently the Malpelo Foundation is seeking funding from both governmental and corporate enforcement. Learn how you can help here.